Will Donald Trump give an interview? Will he hold a press conference? Will he show up at next week's debate? On Thursday morning, he canceled on his friend Sean Hannity, a Fox News spokeswoman said. He had been scheduled to appear on Hannity's Fox News show Thursday night. He backed out around 11:30 a.m. ET. 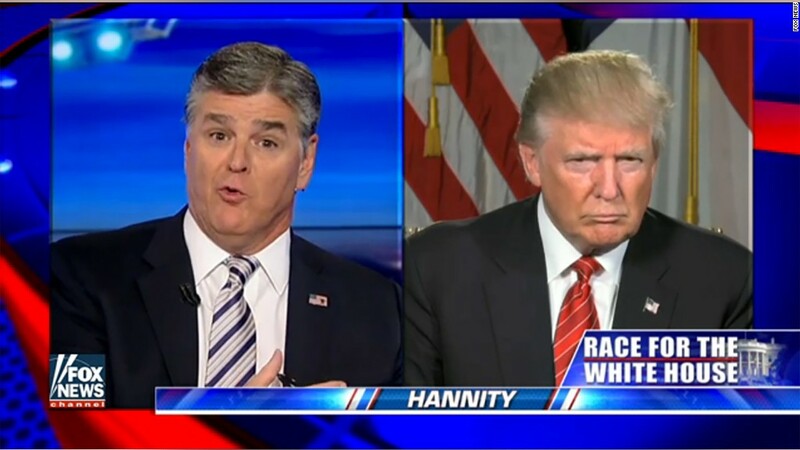 Hannity is still set to interview the four Clinton critics who appeared with Trump at a pre-debate photo op on Sunday: Kathy Shelton, Paula Jones, Kathleen Willey, and Juanita Broaddrick. While Trump wants people to be talking about Hillary and Bill Clinton's past, journalists are pressing Trump and his campaign to respond to accusations from several women that he made unwanted sexual advances. So Trump's media strategy is in the spotlight. Some newscasts have had a tough time booking Trump representatives to talk about the allegations, which came out in a flood beginning with a New York Times story Wednesday night. When "CBS This Morning" interviewed the Times reporters on Thursday, co-anchor Norah O'Donnell noted that "we asked the Trump Organization to provide someone to talk to us, but it was unable to do so." Most of the Trump surrogates on cable news on Thursday morning were men who support Trump but do not work for the campaign staff or Trump's companies. Will Trump himself speak out beyond his rally? He has opted not to hold a press conference for several months, and that posture appears unlikely to change anytime soon. "It's been 78 days since Trump last held a presser," Sopan Deb, who covers Trump for CBS News, tweeted on Thursday. "He took Q's from limited group 39 days ago. Clinton has taken Q's 10 times in three weeks." In the wake of Wednesday's stories from The New York Times, People magazine and other outlets about Trump allegedly groping women -- charges he has flatly denied -- media types are openly speculating about whether Trump might skip next week's third and final presidential debate. One popular opinion is that Trump would never give up an opportunity to speak in front of so many voters. But liberal writer David Corn of Mother Jones magazine tweeted on Wednesday night, "Have the odds gone up or down that Trump will find an excuse to duck the last debate?" Conservative WashPost columnist Jennifer Rubin, a Trump critic, said, "Alas I don't think we will get the third debate. His lawyers would have to advise him to take the 5th." And liberal former Obama aide Bill Burton wrote, "To Chris Wallace, moderator of the 3rd debate, godspeed. But my money right now is on The Donald not showing."